If It's Too Loud...: L'Orange & Kool Keith featuring Mr. Lif - "Twenty Fifty Three"
L'Orange & Kool Keith featuring Mr. Lif - "Twenty Fifty Three"
I write about hip hop surprisingly rarely considering that I listened to way more rap than anything else in my teen years. Hip hop is the one genre I truly turn into a grumpy old man about. Most new rap I just don't get at all, and most artists from back in my youth either don't make music or it's just dull and uninteresting. 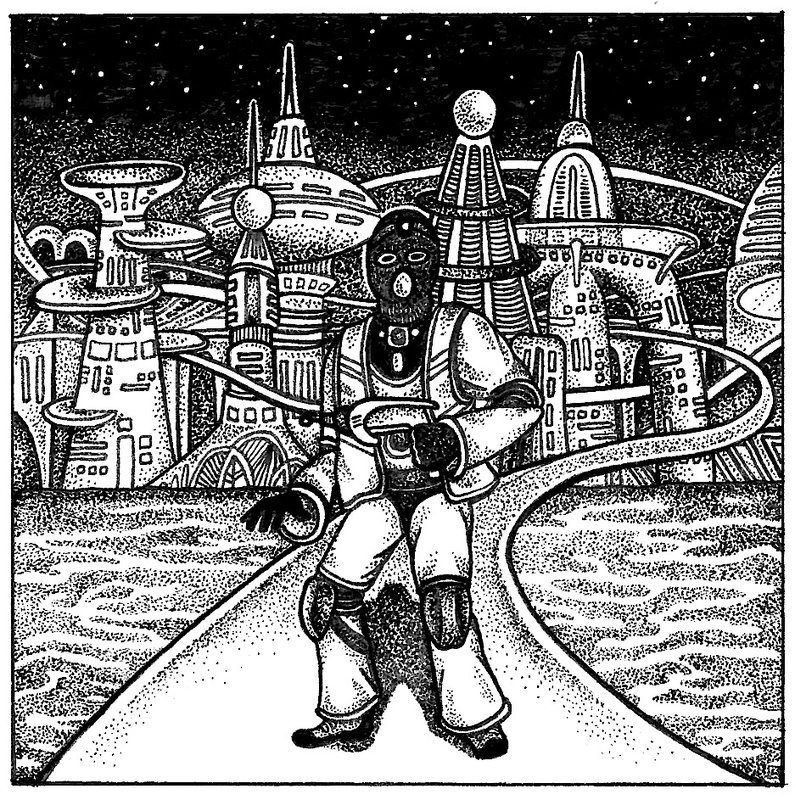 This is why I'm so excited about this new track from L'Orange & Kool Keith, featuring Mr. Lif. 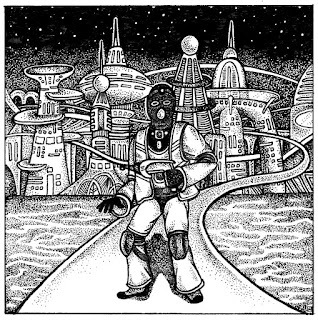 This is my first exposure to L'Orange (who's based in Nashville, oddly enough), but I've been following both Lif and Kool Keith for years now. They're two of the increasingly rare rappers who've been around for a while but still have an interesting output. Put both on one track, and there's no way it can fail. "Twenty Fifty Three" is a great song. It has a futuristic and western vibe, which leads to immediate comparisons to Deltron 3030 and Gorillaz. But L'Orange & Kool Keith have their own feel to it, and it feels like a Deltron/Wu-Tang mash up. It's a must hear for any old school hip hop fan, and maybe for new ones so they can learn what real hip hop should sound like. The collaboration between L'Orange & Kool Keith, Time? Astonishing is due out July 24. You can listen to "Twenty Fifty Three" below, and head over to L'Orange's Bandcamp to hear another track ("The Traveler" which features J-Live). Since the album will also feature guest spots from Open Mike Eagle and MC Paul Barman, you'll probably want to pre-order it while you're there. I'd be with you, but 2015 is a great year for Hip-Hop. BadBadNotGood with GFK is an instant classic. Daye Jack's Soul Glitch is great except for 1 track and Time? Astonishing! is going to be incredible. You can get old if you want, but if not there's room underground. Heather Woods Broderick - "Wyoming"
Salem Wolves - "More Weight!" Benjamin Booker Covers "Walkin' After Midnight"
J. Allen - "Bring Her Back Home" b/w "L.B.C." Rayland Baxter - "Mr. Rodriguez"
Ransom Pier - "Turn Your Head"
Mark Lanegan & Beth Orton - "Your Kisses Burn"
The Needy Sons - "The Swimmer"/"Superficial Kid"
Sweet Baboo - "You Got Me Time Keeping"